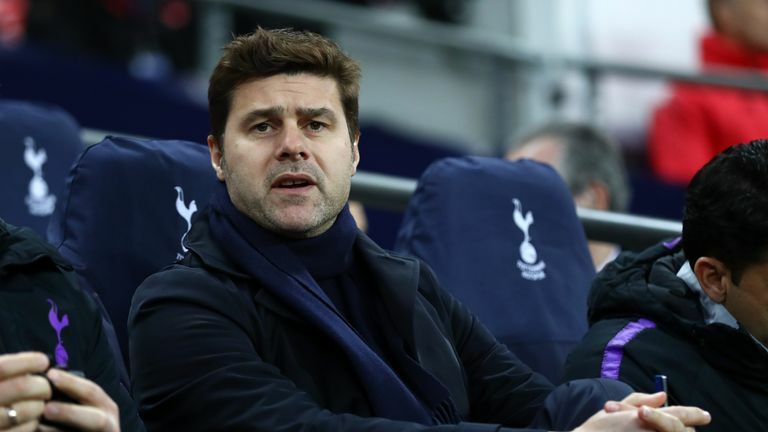 Mauricio Pochettino has clarified his comments over his desire to win a trophy with Tottenham. Mauricio Pochettino used his latest news conference to give a passionate assessment of Tottenham following back-to-back cup defeats. Spurs were knocked out of the Carabao Cup at the semi-final stage by Chelsea last Thursday before losing 2-0 to Crystal Palace in the FA Cup fourth round three days later. First of all, I don't know if our fans were happy or unhappy because I don't follow social media. That is very good for me. I think you take my comments in a negative way. It is important to clarify because you are asking. I know now, that to talk about ego is a negative expression in England, maybe in different countries it's more superficial. But in the last few years, because you are asking me about if winning a domestic cup, like the Carabao Cup or FA Cup, will help the club to achieve the last level. I think that is the principle thing that we need to clarify. The fans need to know that when you ask me if I agree that if we are to win a domestic cup, like the Carabao Cup or FA Cup, that will help us achieve the last level - I cannot agree with this question. We are doing fantastic things in the last few years, we are focusing on different things, not only to win. No one player thinks different, no manager thinks different. If Huddersfield are talking about winning, Liverpool are talking about winning, there's no difference. When you ask me about helping the club to be on the last level like United, like City, like Liverpool, like Chelsea and maybe Arsenal. I don't believe this is the right way. But after if you say to me - you want to win? Of course I want to win. I am not a naive person. It's tough for me because after three or four seasons, we are always talking in a similar way about the cups, about the cups, about the cups. I want to win. I want to create and build my CV by winning cups and titles. In the last four-and-a-half years, we have played in four cup semi-finals and one final. We tried, we were there, we were close. In the last three seasons, we are consistently playing Champions League, being in the top four. If you say to me, how can you help the club to get to the last level - it's about improving every season, improving the structure, improving the way to operate, improving the squad, improving the facilities and I think if you made a list, you can tick nearly all the boxes. We are so close. We need to try to keep working. There are fans who are not happy with perspective, but in the future they are going to appreciate the job that everyone is doing at this football club. Patience is difficult in football, like in life. We see something and we want it straight away. Football is about building, believing and working hard to develop the project. It's easy to destroy, but so difficult to build. To build the new stadium, the club is working for 18 years and to destroy the old White Hart Lane was easy - one afternoon. That is always the difficult thing to explain. The most important thing we need to translate to our fans, because I only talk about my club, not other clubs, managers or what they are doing. If I talk about Tottenham, I have to translate to my fans that we are going in a very good direction, working hard to deliver things, only we need to have faith and keep going by working. Of course, the moment to win is going to arrive and when you are going to be consistent fighting for big things. At the moment we are trying, but it's tough to win. We try and have a lot of things to focus on, but with perspective we are going to see that we are doing a fantastic job. If you are in Real Madrid, you are only thinking about winning trophies. In Tottenham, when we arrived here, it was a completely different challenge and to build that philosophy is tough. But the bigger picture is that we are going to have an amazing stadium, one of the best in the world. If you want to be one of the best teams in the world, you need the best stadiums, the best facilities and we have one of the best training grounds. You need an unbelievable effort to build all that. And in the moment you get all this ready, it is not an excuse. We are focused in trying to win in every single game. We are disappointed, but we are trying with all our capacity and, of course, we are so, so conscious that we are giving our best to try to achieve all that the people want. I think we cannot underestimate all that the club is doing in the last few years, or these players, or staff because competing with all the circumstances in the last few years, people are thinking that we are real contenders. That is a massive prize, not to be criticised. Explaining the big picture is so important because sometimes people become confused.